Who couldn't use more space? 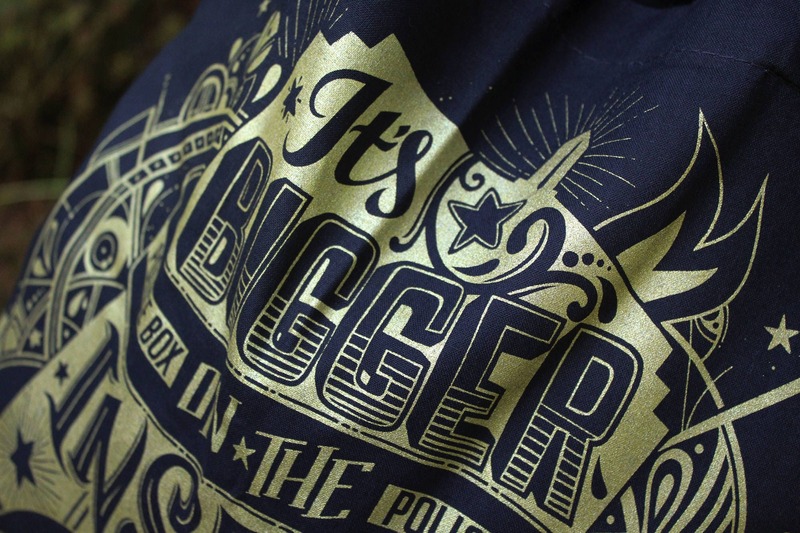 You'll get plenty of it with this Doctor Who tote bag! 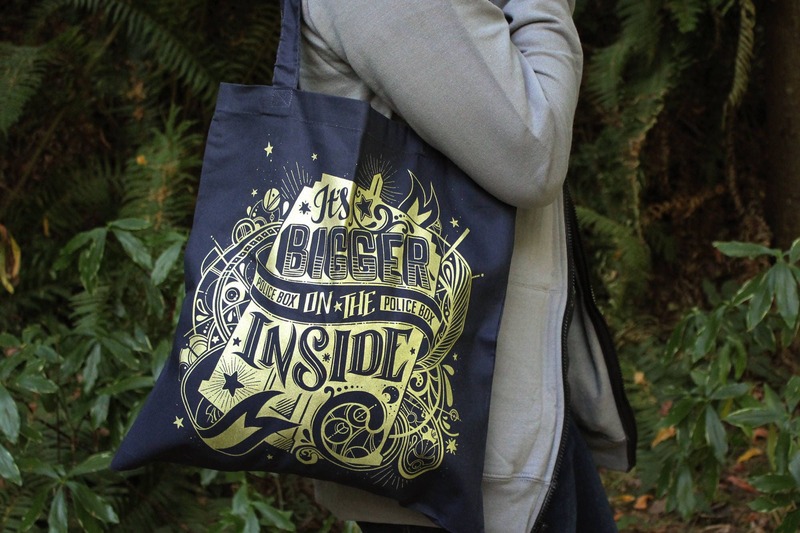 Our Tardis Blue "Bigger on the Inside" tote is hand screen printed with shimmering Metallic Gold ink and just the right size to hold the accessories you need while traveling through time and space. Toss your sonic screwdriver and bow tie into this handy bag and you'll be ready for any adventure! This was a gift. The bag is well made and looks even better in person. I would buy from this store again! This was a gift and the recipient loved it! The transaction with the seller was very smooth and it got to me very quickly. Great experience with this seller. Looks great, speedy delivery, would buy again.